Financial independence is one big step towards economic empowerment! 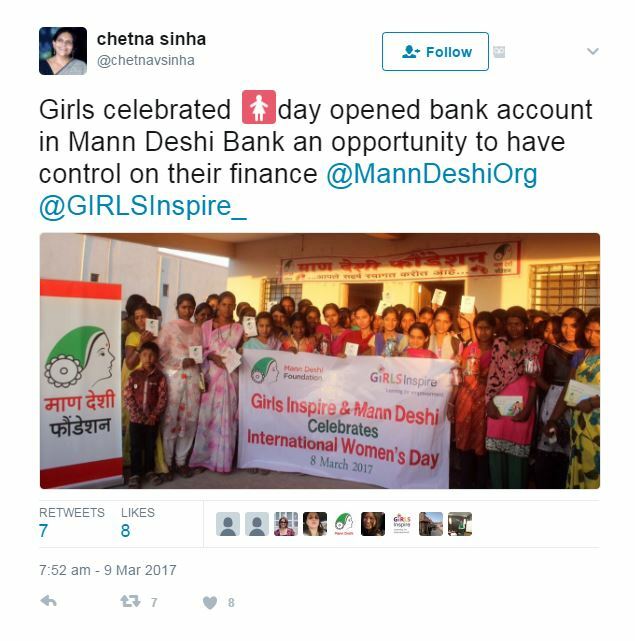 Visit the Twitter of Mann Deshi Foundation’s founder to see the girls who opened their bank accounts! You can also find out more about our work in India by clicking here.